...The "Benton Harbor, Michigan Intifada of 2003" lasted two nights after the murder of an unarmed black motorcyclist by white police officers. Adding insult to injury, the residents of majority-black Benton Harbor are reeling under an attempted takeover of the last "undeveloped" beachfront property on Lake Michigan. The residents are under attack by the Whirlpool Corporation, that wants to develop "Benton Shores" and move all of the residents completely out of the town. The purported goal of the development is to turn Benton Harbor into one of the "hottest vacation destinations in the country," to include a members-only indoor water park, and a Jack Nicklaus golf course. According to Reverend Edward Pinkney, the valiant leader who is trying to save Benton Harbor for the people, Harbor Shores will result in a complete takeover of Benton Harbor, a city that is 96% Black. 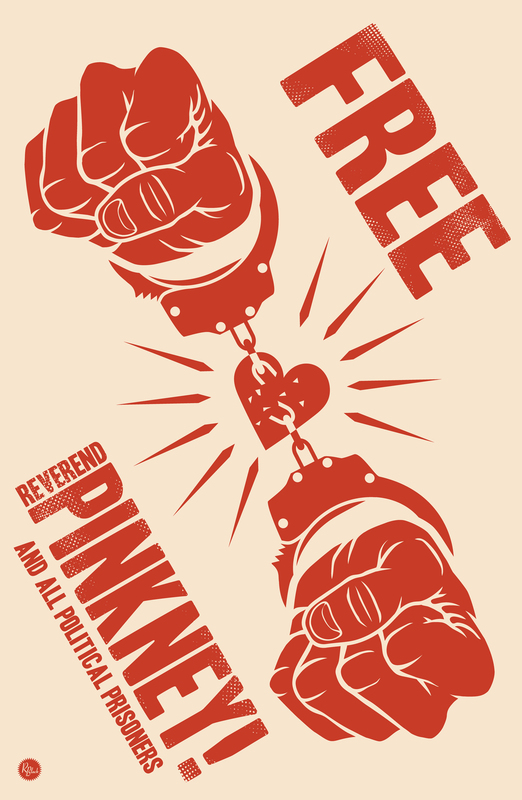 Reverend Pinkney has been in jail since December 14, 2007 on trumped- up charges including violation of probation, for writing an article calling the chief judge racist. Mrs. Pinkney called the Office of Michigan Congressman John Conyers, Chair of the House Judiciary Committee to ask for justice for the residents of Benton Harbor and for her husband. Shockingly, Chairman Conyers refused Mrs. Pinkney's plea to get involved in this heroic struggle of a 96% Black community in his own state. When I visited Benton Harbor, it was clear to me that Reverend Pinkney has the full support of the area's residents, black and white, as they struggle to maintain the character of their community. 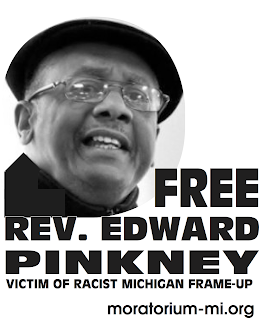 Reverend Pinkney is recognized by the people as true hero and occupies a jail cell because of it.